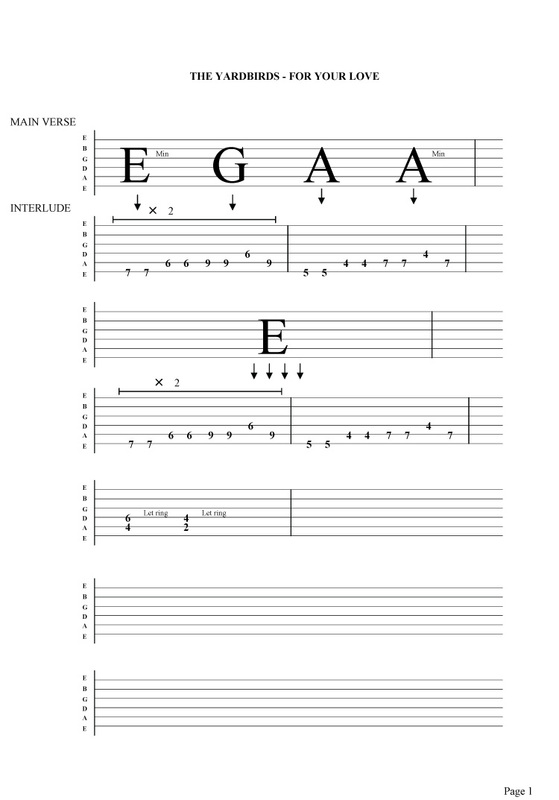 The Yardbirds - For your love guitar tab . Eric Clapton played guitar for The Yardbirds before leaving to join Cream . Click here for the Yardbirds guitar lesson video .